We are thrilled to have the support of the following champagne houses and growers to help make Effervescence a true overview of the Champagne region. Champagne is such a diverse area, and this mix of houses and grower champagnes gives a true indication of the exciting choice there is. Description: The brotherhood Frerejean Taittinger grew up in the respect of champagne traditions. Passionate of oenology, Guillaume, Richard and Rodolphe created their own Maison de Champagne. The idea: to build up champagne the same way as a great wine. To only keep in mind to reach Excellence, Perfection and to make of this quest a fully-fledged signature. The Maison only offer 1er Cru champagnes of great quality, a clever blend between chardonnay, pinot noir and pinot meunier. Description: The house Bonnaire is installed since 1932 in one of the most beautiful crus of Champagne, the village of Cramant, in the heart of the Côte des Blancs. It derives the reputation of its wines from this soil blessed by the gods where the Chardonnay reigns supreme. Out of respect for this beautiful origin, the work of the vineyard has always occupied the spirits and days of the winemakers of the house. Today's challenge is in how to grow grapes and how soils are treated throughout the year. Vineyard management is thus at the center of all our attention, a real starting point for our activity. In the beginning is the vineyard. Description: The identity of our House is profoundly rooted in the land of Champagne, in its hilly landscapes, its chalk and its villages. Young as it may be in Champagne history terms, thanks to its 1,800 winegrowers, Jacquart boasts a terroir as vast as it is unique, covering 2,400 ha, to shape its wines with a very contemporary elegance. For over 10 years, the Alliance Champagne Group has been committed to sustainable vinegrowing, an innovation in Champagne. It is a choice guided by the need to preserve our environment and the determination to cultivate our vines with the highest possible quality standards. Sustainable winegrowing operates on a voluntary basis and aims to meet quality and environmental requirements while protecting the future of the vineyards. Description: Champagne makers at Achille Princier since 1901, the Mansard family has always had strong values to uphold their reputation, including respect for tradition, family independance and generosity. In this family wine is an art form, from the palnting of the vignes to the commercialistion of Champagne. The making of wine grown from their own plantings is a major strenghth of this "grower champagne". Today his son Maxime Mansard has taken the decision to launch a premium Champagne- Achille Princier- making a small volume production. It is made from very old vines planted by his ancestors. He selects grapes , for this brand, from parcels first planted in 1930 and perpetuates the traditions of family production. He hopes that you will share his values of quality and authenticity, and his dream. Description: The House of Ruinart is unlike any other. It was the first established House of Champagne in 1729 and inspired by the intuition of a monk well ahead of his time. In the mid 18th century, in order to store it’s bottles, Ruinart acquired its ancient crayeres dug underneath the city of Reims. Enobled and having attained the name of Ruinart de Brimont in 1817, the family ran the house steadily for over 2 centuries. Description: Canard-Duchêne is unique in its origins, history and style. The Champagne house has been located in Ludes, in the Montagne de Reims National Park, since 1868. Its founders, Victor Canard and Léonie Duchêne, both well-known characters in Champagne, were granted the right by the Russian Imperial Family to adopt its coat of arms as the family emblem. The crowned two-headed eagle has thus appeared on every Canard-Duchêne label since the end of the 19th century. These authentic, original Champagnes combine fruit, intensity and complexity. Description: Krug has remained a Champagne House on a human scale, preserving its savoir-faire and defending its unparalleled quality by choosing to offer a limited number of bottles. By overturning conventions and establishing its own rules, Krug divulges all the exuberance and expression of its Champagnes. Making Krug Champagne arises from a long, painstaking and very human process; an art. Depending on the talents and intuitions of a precious few, Krug’s obsessive approach to details is the key characteristic of its savoir-faire which is based on three principles: - the individual selection of the plots and the careful following of each wine, - the art of blending and the creation of Champagnes by Krug’s Chef de Caves Eric Lebel and the Tasting Committee, and - the essential mastering of time, stretched to an unfashionably slow pace. Description: In its 160 years of history, Pol Roger has carved out one of the most flattering reputations in the select circle of the leading Champagne brands. For five generations, the descendants have been equally demanding, remaining loyal to the strategy initiated from the very beginning by the firm’s founder. Pol Roger is the gentlemen’s Champagne, as Jean-Paul Kauffman wrote in “Voyage en Champagne”. It is not surprising, therefore, that Winston Churchill and even the British Royal Family should have made it their favourite over the years. The purity and nobility of Pol Roger Champagne is also the fruit of the know-how, passed down from generation to generation. From the harvest in the region’s best vineyards, to the painstaking work in the cellar, each gesture has its importance. Description: Moët & Chandon is celebrating 270 years as the world’s most loved champagne. For over a quarter of a millennium, the renowned French winemaker has been sharing the magic of champagne across the globe. Every glass overflows with the House’s hallmark values of history, generosity, savoir-faire, success, boldness and elegance—values still at the heart of its global appeal. Toward the end of the 18th century, Jean-Remy Moët, grandson of founder Claude Moët, became famous as the man who introduced champagne to the world. The important figures of the era, from the Marquise de Pompadour to Talleyrand to Napoleon quickly fell in love with the House’s effervescent wine. Moët & Chandon was soon the icon of success and elegance that it remains to this day. Description: Vilmart is now recognized worldwide as the rising star amongst small champagne houses. • Grapes come exclusively from their own 1st Cru vineyards. • The Ampelos certification only obtained by a few producers: Strong respect of “terroir” with traditional soil management and no chemicals fertilizer. Description: Located in the heart of the prestigious village of Les Riceys, Maison Laurenti cultivates the art and tradition of champagne with passion and commitment. Its unique expertise makes it a creator of champagne. The pursuit to excellence has been passed down through the generations. Bruno, Joseph and Dominique Laurenti are the 3rd generation of winemakers, who ensure the company's future today. Description: Wine growers since the 18th century, the Maison Jeeper story truly began in 1949. It was then that Armand Goutorbe, son of Victor Goutorbe, on his return from the Second World War, decide to produce and sell his Champagne. 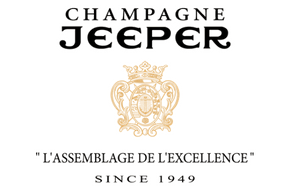 Armand Goutorbe christened his brand Champagne JEEPER, with an eye to making himself stand out from the many wine growers of the region also named Goutorbe, and in reference to the Jeep bestowed upon him by the local authorities to help him ascend the vineyard slopes with ease. Description: Our cuvée Brut reflects the terroir of Champagne and its three thirds of Pinot Noir, Pinot Meunier and Chardonnay. The vineyards offer a variety of grape varieties that we know how to use. We carefully selected the best grapes to make a fine and balanced champagne . It is this know-how and these sought-after aromas that make Pol Couronne Brut a great champagne. Description: The house of Duménil was founded in 1874 by Elie and Cécile Duménil. Today, the great-granddaughter of the founders, Frédérique Poret-Rebeyrolle, presides over the house with her husband Hugues Poret. Her father taught her the respect for the traditions of the Champagne region: know-how and love for the terroir. She maintains the search for perfection and truth which has always been a strong guiding principle for the Duménil family. Description: Champagne Vincent Brochet grapes come entirely three premier cru villages in the Montagne de Reims - Ecueil and two neighbouring villages. Pinot noir makes up 80% of the plantings. Their methods show with the greatest respect to soil and the vines enabling a true expression of the terroir. Up to 45% reserve wines are blended into the non-vintage s to acheive consistancy, while still retaining the individual character of the wine. Description: Winemakers from father to son for three generations, all fruit is exclusively from their own vineyards. From humble beginnings their vision is aimed to the sky in more ways than one… This is Meunier of excellence and worthy of discovery! The estate was founded by Michel Salmon and his son Olivier in 1958. However the family’s history as grape growers extends back many generations. Today Olivier and his son Alexandre manage this 10 hectare estate. Both Olivier and Alexandre are balloon pilots uniting their two passions – the balloon and the vines! The region is very much renowned for the excellent quality of their Meunier and forms the backbone of many of the s, with both a 100% Meunier and a 100% Meunier Rosé available. Alexandre is a highly regarded young winemaker and the quality of Salmon’s range is impressive. Description: Thierry Forget is the fourth generation to head this family estate, situated in the Premier Cru village of Ludes in the Montagne de Reims. Thierry took over control from his father Edmond in 1991; however, this is still very much a family affair with all members actively involved. Thierry and his wife Céline run the business side of things as well as his dad, Edmond, who still assists with work in the vineyards to this day. Description: Do not be fooled by the Gallic elegance of Cécile Grongnet: Her statuesque good looks behold a winemaker driven by passion, wisdom and perhaps a hint of sass. It is these qualities which manifest in her wines; a perfect balance of elegance, finesse and brilliance. Description: Jérôme Blin comes from a family which has had a long history in Champagne in general and the Marne Valley specifically. Jérôme’s Grandfather was instrumental in the establishment of the H. Blin co-operative in the village of Vincelles in 1947. In recent years Jérôme has struck out on his own and created his own label, Champagne Jérôme Blin. Following the principles of biodynamics, Jérôme has successfully established a reputation for producing champagnes of elegance and with purity of flavour. Description: José Michel has achieved cult-like status as the ‘King of Meunier’. The estate began in 1847 and is now under the direction of fourth generation, José Michel. Located just 7km south-west of Epernay in the little village of Moussy, José has 10 hectares of vines spread across Moussy, Pierry, Brugny, Brasles and St Agnan. Description: Joseph Loriot-Pagel is a boutique Champagne producer based in the small village of Festigny, nestled in the Marne Valley.Joseph Loriot is the fourth generation winemaker who along with his wife Odile own and operate this fine Champagne House. Their son, Jean-Philippe Loriot, graduated from his winemaking studies in 2005 and then completed the 2006 vintage at Chateau Leamon in Bendigo, Australia before returning to Champagne to assist his father in the running of Joseph Loriot-Pagel, thus making him the fifth generation winemaker. The winery and much of their vineyard is located in the Vallee de la Marne to the west of Epernay. However the Loriot family also have vineyard in the Côte des Blancs, specifically near the townships of Cramant, Oger and Avize, to the south of Epernay. Description: Hébrart produce Pinot Noir-dominated Champagnes. Chardonnay makes up a small amount of the house blend, but no Pinot Meunier is used. Hébrart formerly provided grapes to bigger houses such as Bollinger before choosing to bottle its production under its own name. raisonnée” (reasoned viticulture), avoiding synthetic treatments as much as possible. All parcels are vinified separately to preserve their distinct identities, giving a greater selection for the blends. Marc Hebrart was named as one of only five Champagne producers listed in “Wine and Spirits” magazines, Top 100 Wineries of the World. Description: Sébastien Mouzon is one of the rising stars of Champagne. His simple goal: to produce the best natural expressions from each individual terroir. Situated in the Grand cru village of Verzy, the Mouzon family possess 100 separate plots spread across 10 hectares of vineyards. All of the estate is biologically certified with biodynamic practices being introduced in 2008. The Mouzon family have been winegrowers since 1776 and originally supplied grapes to Veuve Clicquot. They first began bottling under the label of Champagne Mouzon in 1930. This was changed to Mouzon Leroux in 1976 with the marriage of Sébastien’s father Philippe to his mother Pascale Leroux who are still an important part of this estate to this day. Sébastien after completing his degrees in oenology and viticulture, spent a year working in Burgundy giving him greater insights towards the use of oak for fermentation and maturation. He then returned to the family estate in 2002. All wines are produced as ‘naturally’ as possible. The initial fermentation occurs with natural yeasts and then aged further in vats or barrels giving greater depth and complexity to the wines. The wines do not undergo filtration or fining and then spend an extended period on the yeast lees prior to disgorging. The wines are pristine and focussed, with wonderful depth and minerality. Dosage is minimal. Such great wines are not a product of the cellar but the purest expressions of the vineyards themselves. Description: The French word for ‘fox’ is ‘renard’. It seems no surprise that the commendably consistent wines of Nominé-Renard are produced by a searing fox-like cunning, only attainable through generations of viticultural practice. Simon & Cécilia are the third generation to produce wine under the house label, but by no means have they been thrown in the deep end. The succession of chef de cave at Nominé-Renard is, like their winegrowing approach, organic. Description: Champagne Pommery was founded in 1836 by Narcisse Greno in Reims, and when he was joined twenty years later by Alexandre-Louis Pommery the name became Pommery et Greno. Madame Pommery took over in 1858 who was a pioneer and under her direction the small, little known house became a Grande Marque. Between 1868-1878 marked the period of the establishment of an Elizabethan style estate in Reims, whereby 18km of Gallo Roman chalk pits, thirty metres below ground cellar more than 20 million bottles of champagne today! In 1874 Louise Pommery created the first brut champagne, ‘Pommery Nature’.The new style quickly appealed to people everywhere. Today Vranken Pommery forms the second largest Champagne Group globally. Description: Born from the love story of Pierre-Nicolas Perrier and Adèle Jouët in 1811. The most prestigious and exclusive Champagne House, known for its scarcity and exceptional elegance with only 7 Chef de Cave since 1811. The house of Perrier-Jouët owns exceptional vineyards in the Côte des Blanc. Devotion to the pursuit of excellence for almost 200 years the Champagnes of Perrier-Jouët are feminine, charming, vivacious, sensual and alluring. Description: For four generations, the Champion family have been proud to share their passion for Champagnes that offer character and prestige to accompany the most memorable moments of your life, just as its founders wished for. This small family estate is located in the Grand Cru village of Chouilly, in the Côtes des Blancs. The vineyards have a south-south-east exposure giving the wines a mineral delicacy, and lifted floral aromas. The Champion family have been grape growers since the 18th century, but sold their harvest to négociants. This was all to change in 1929 when André Champion decided to bottle under his own name and the brand ‘Champagne André Champion’ was born. At the tender age of 16, Roland took over the family business and continued to increase the family’s estate. The Champagne house was then renamed ‘Champagne Roland Champion’ in 1951. His son François is the third generation of the family and continues in his father’s footsteps as both oenologist and company manager. The Vazart-Coquart family has been involved in the wine business for centuries. They are still based today in the original family home in the main street of Chouilly built by Louis-Victor Coquart in 1865. In 1954, Louis Vazart and his son Jacques launched their Champagne brand. The dynamic Jean-Pierre Vazart, Jacques’ son, joined his father in 1995 and in 2005 became in charge of the estate. The Vazarts grow 95% Chardonnay and 5% Pinot Noir on their 11 hectares in Grand Cru Chouilly, the most northerly wine commune of the Côte des Blancs. Average vine age is an impressive 30 or more years. Description: Champagne is a wine of legend, The entire history of the Veuve Clicquot House is marked by mythical wines, all of which respect the demand for quality that was the force that drove Madame Clicquot. True to this heritage, the House is proud of its motto: ‘Only one quality, the finest’. A short lineage of just ten Cellar masters has led this quest for quality, thereby ensuring the continuity of the Veuve Clicquot style: strength and complexity. Veuve Clicquot privileges excellence and quality. Only the juice from the cuvee (the first – the most noble – pressing) is used.